Hey there, happy Friday and the end of March! Yay, I’m not sorry to see this month go. Bring on April and spring I say. The snow is almost melted from my yard and I’m excited to switch out my winter clothes to spring/summer clothes in my closet. Well actually the job itself doesn’t excite me, just the clothes do, ha! I really don’t love the seasonal switch out chore at all. However I have to do it because I hate seeing my summer clothes mock me for the 6 months out of the year that I can’t wear them. It’s self preservation at it’s finest y’all. How about you? Do you switch your clothes out for the seasons? Speaking of seasons, I also love to switch out my letter board as well. 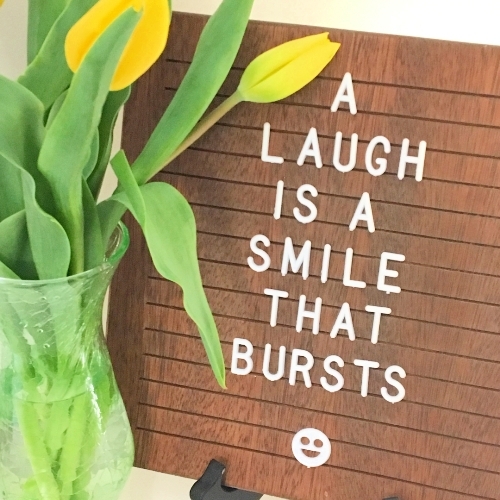 I love to laugh (especially when the sun is shining!) so this seemed appropriate. Here’s the picture I shared on my Instagram this week. 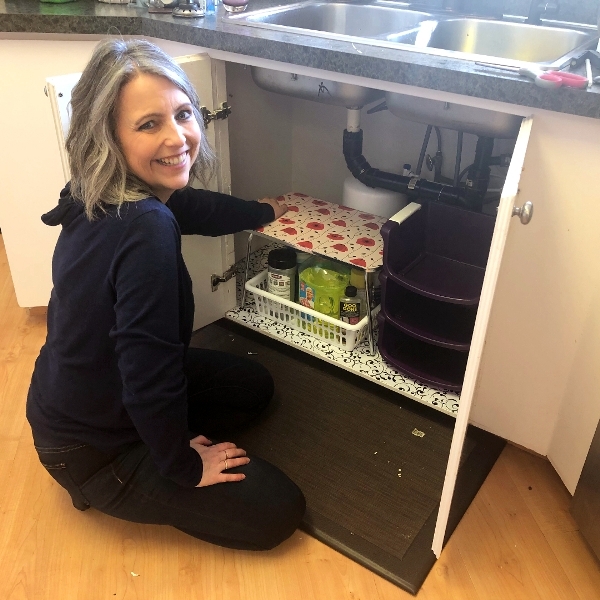 This one all about organizing underneath the kitchen sink. Here I am in my happy place. PS: Yes I have gray hair in my forties. Here’s why. 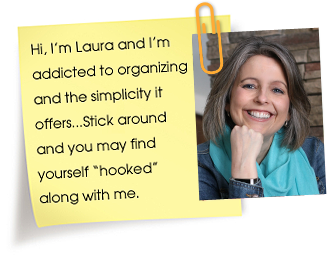 And as well don’t miss the post I just did on three different phases of decluttering. 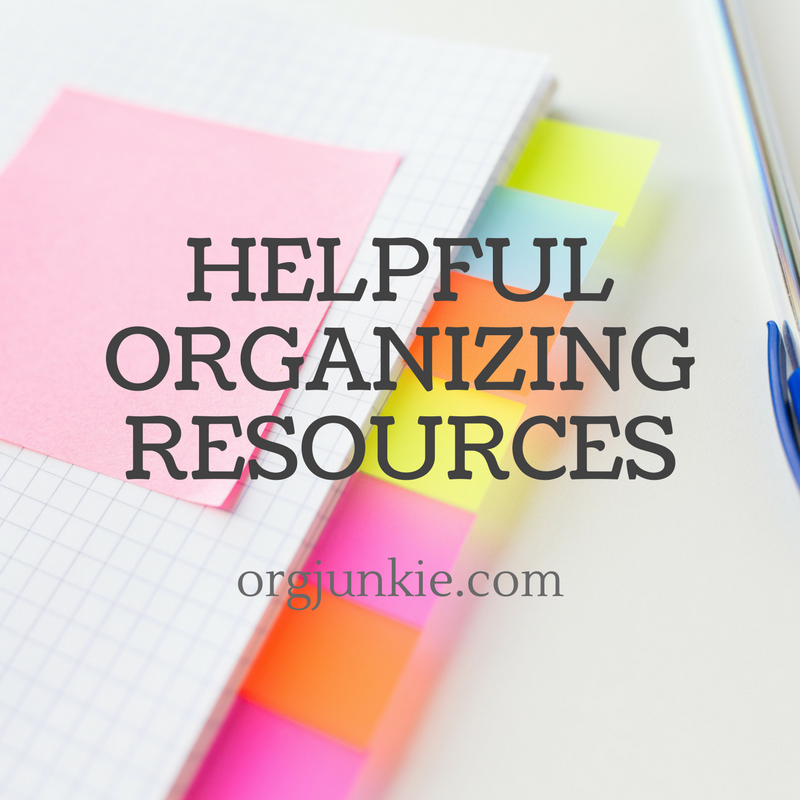 Now it’s time to get into telling you all about the great organizing resources that my really fantastic sponsors offer. Please give them some love by going on over and checking their websites out. You’ll definitely be so glad you did! !